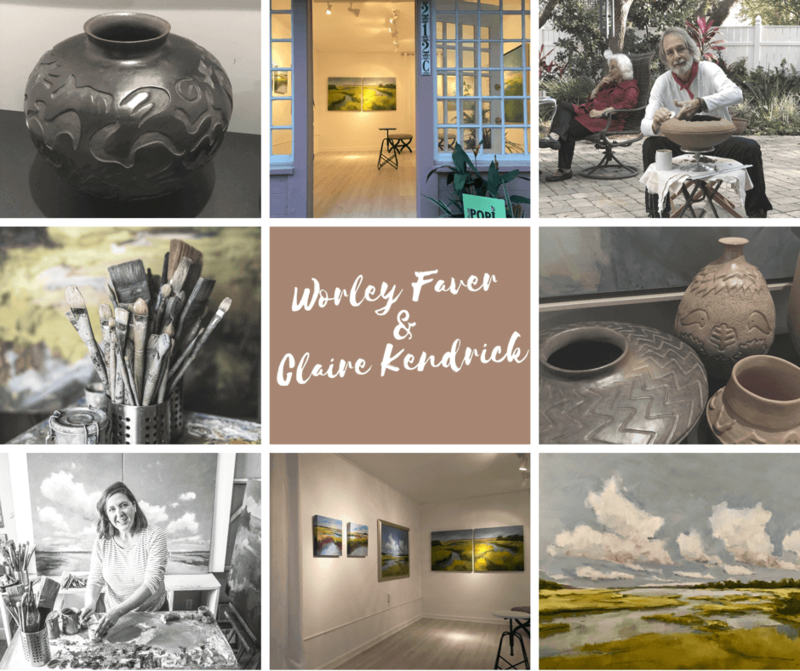 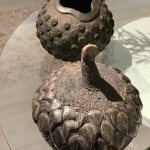 Featuring: Worley Faver, Pottery and Paintings by Claire J Kendrick. 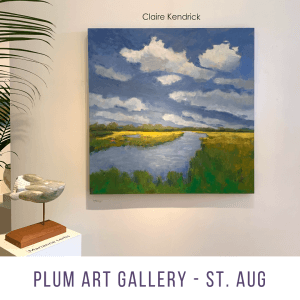 This intimate gallery space has been given a “Plum” transformation by artist and gallerist Karen Sheridan, owner of Plum Gallery at 10 Aviles Street. 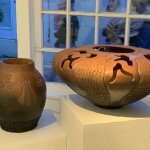 Plum Pop Up Gallery – will be a permanent exhibition and studio space for Potter, Worley Faver. 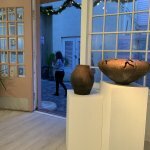 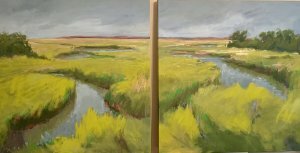 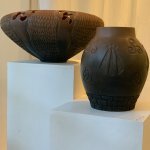 The gallery will invite and attract other artists and provide unique solo show opportunities for 2D artists in the heart of St. Augustine’s Downtown Art District. 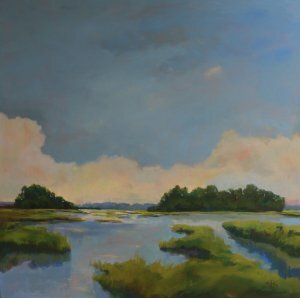 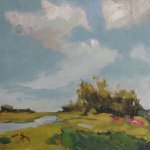 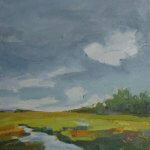 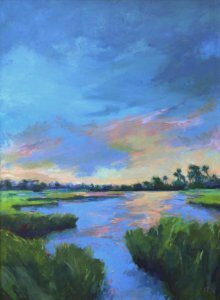 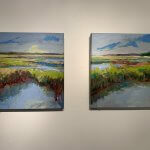 For the next few months, visual artist Claire J Kendrick will exhibit landscape and botanical paintings. 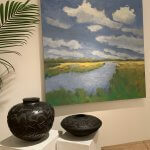 Faver and Kendrick are established artists with strong national and international followings. 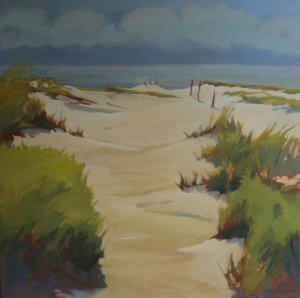 The award winning pair are exhibiting at Plum Pop Up Gallery to attract potential buyers and followers of their work to St. Augustine. 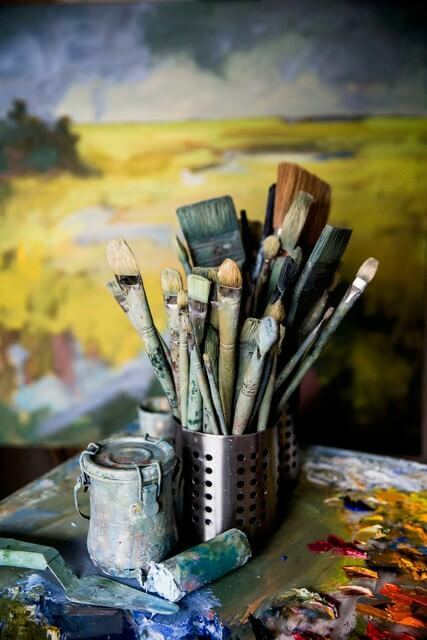 They support the local art community and have always maintained a presence locally. 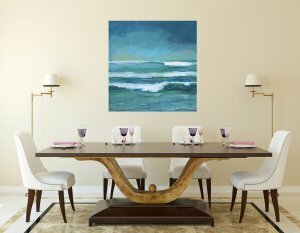 Large Scale Contemporary Oil Paintings. 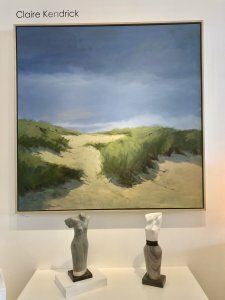 If you interested in refreshing a space or out to make a major impact, these large scale works of art will add the “wow” factor to any room. 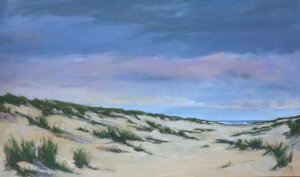 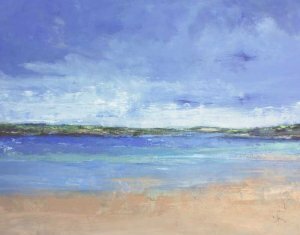 A large scale oil painting by Claire J Kendrick can completely transform a space, shifting the personality, palette or drama in a room. 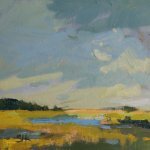 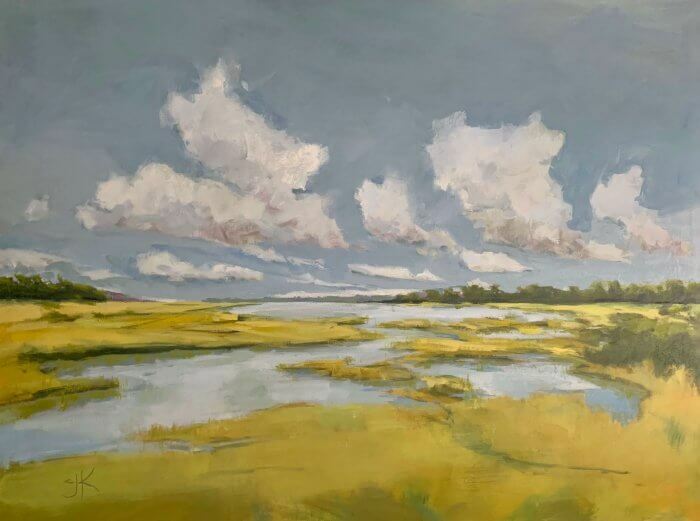 Gestural brushstrokes, strong design, bright colors or muted tones – the intriguing textures of Kendrick’s work will keep you coming back for more. 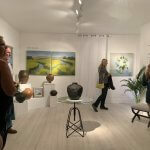 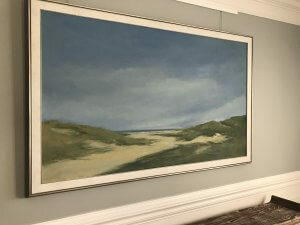 When considering the perfect piece of fine art Claire J Kendrick works with professional gallery representation making the hunt an exciting exercise in exploring the artists body of works. 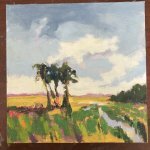 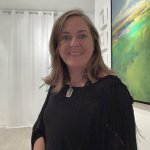 Her gallery’s assist in trying works in your residential or commercial space and can also walk you through the process of commissioning a custom work of art. 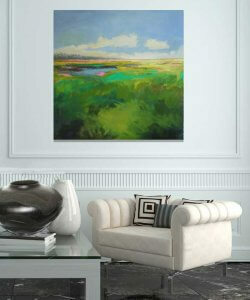 Large Scale Works Suitable for Private Residence. 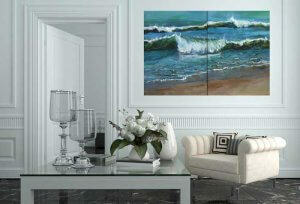 Wood frame with white washed wood liner. 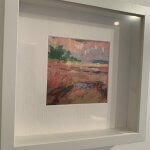 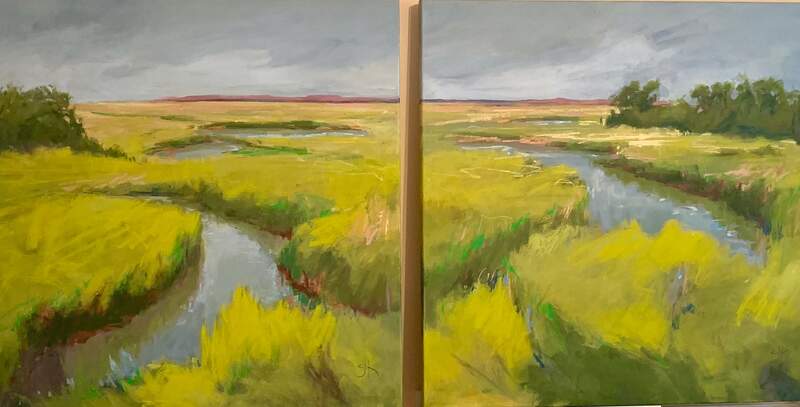 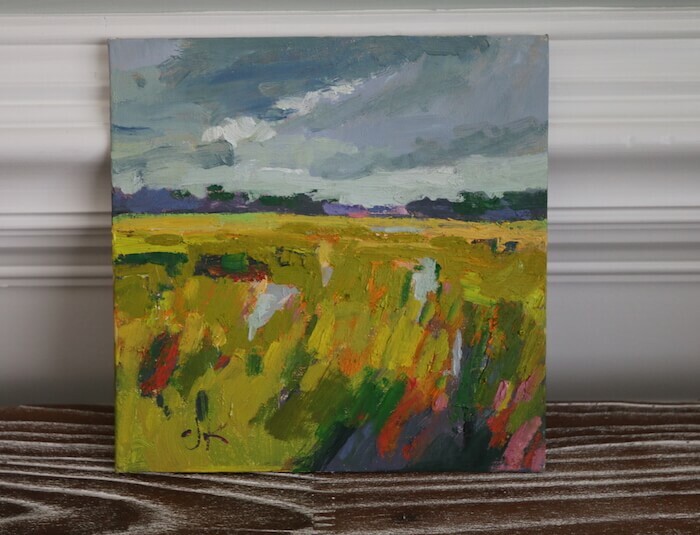 Vibrant Marsh 48×48 Oil on Canvas Framed in Metallic Floater Frame Worley Faver Black Pottery on table. 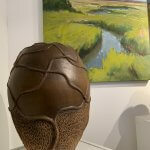 Art on Centre represent my work, they take a personal interest in getting to know each artist they exhibit. 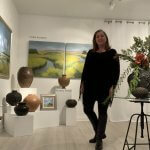 It was a pleasure to be asked to appear in a promotional video for the gallery. 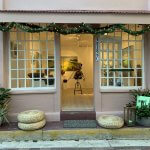 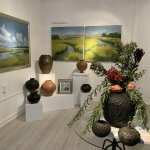 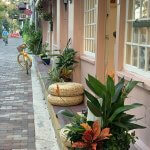 In the heart of downtown Fernandina Beach sits Art on Centre, where fine art and collectibles come to life. 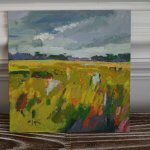 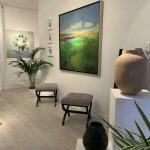 In its contemporary space, Art on Centre combines a variety of mediums, from impressionistic landscapes to abstract sculptures… resulting in an experience that is nothing short of captivating. 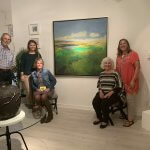 The professional team at Art on Centre showcase my paintings and curate the gallery beautifully. 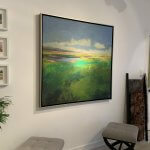 I know collectors of my work, are in good hands. 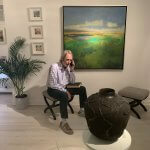 Keep in touch with artist CJK …..
Join my mailing list – sign up via my website. 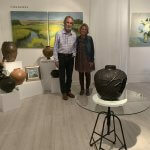 Recent interview with CJK by Voyager MIA.